Cathay Pacific has reached an agreement with the majority shareholder of Hong Kong Express to acquire the airline for $638M in cash and notes. HNA (the seller) is the financially troubled Chinese conglomerate behind Hainan Airlines and Hong Kong Airlines (separate airline from the express) that has been shedding assets to reduce debt load. Cathay Pacific also owns Cathay Dragon, previously known as Dragonair, that it uses mainly on routes to Mainland China and within Asia. Cathay Dragon employees are on a separate contract that is less onerous for the airline. 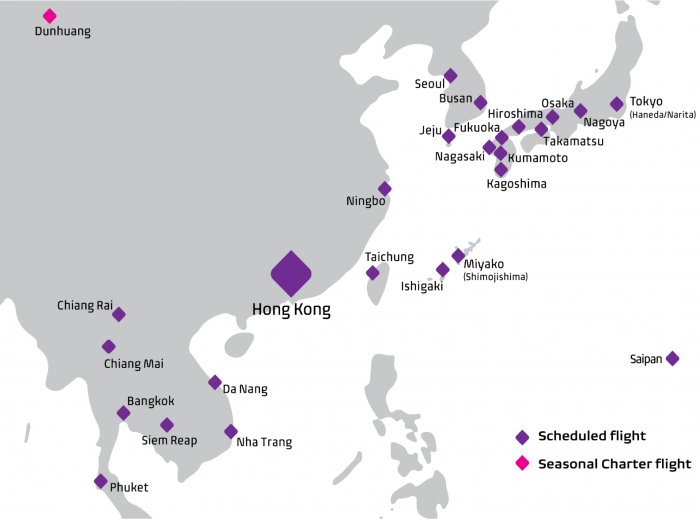 Hong Kong Express, however, is a real low cost carrier that charges for bags and food on its flights. HNA also owns Hong Kong Airlines, which is a full service airline based in Hong Kong competing with Cathay Pacific and Cathay Dragon. This full service airline is not part of the deal. This purchase, if completed, gives Cathay Pacific exposure to LCC market and additional slots at the congested Hong Kong airport. It reduces competition, however, and thus likely to lead to higher prices for consumers. It is unlikely that this express carrier will have Oneworld affiliation.